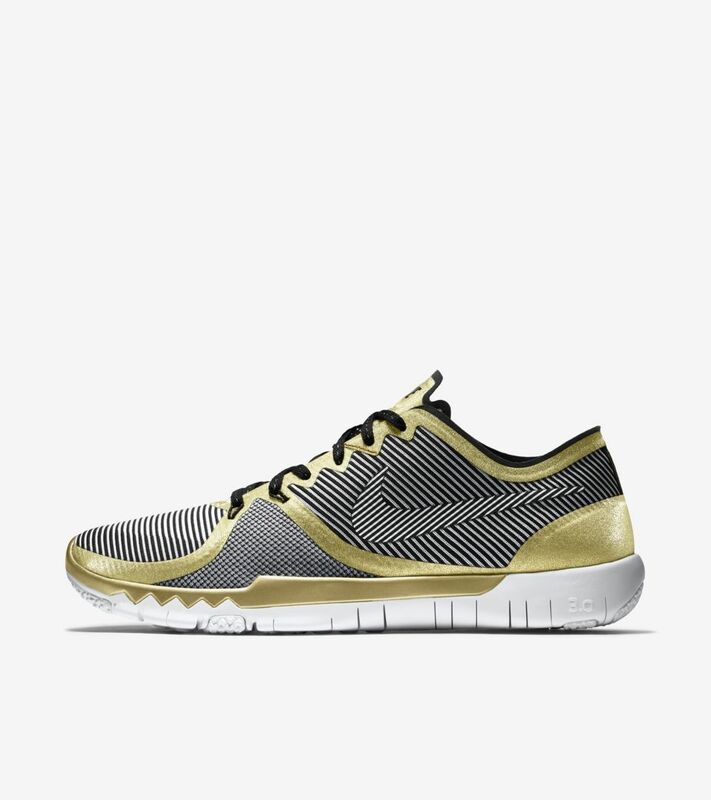 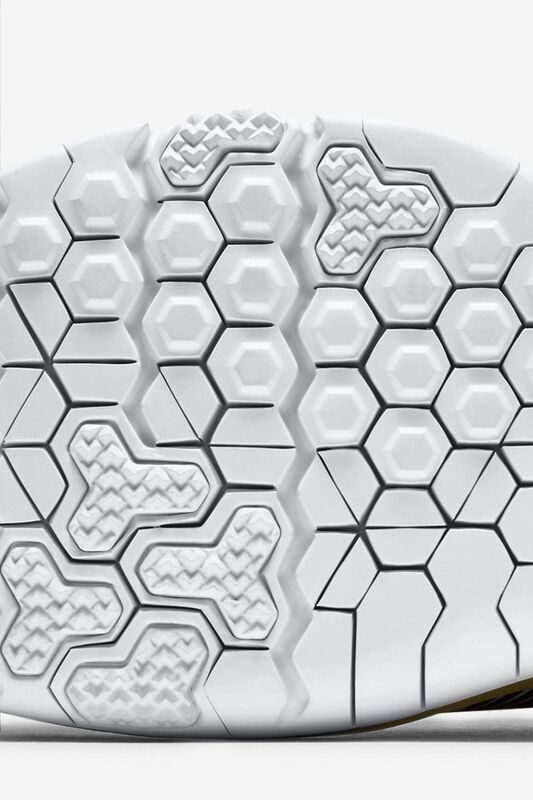 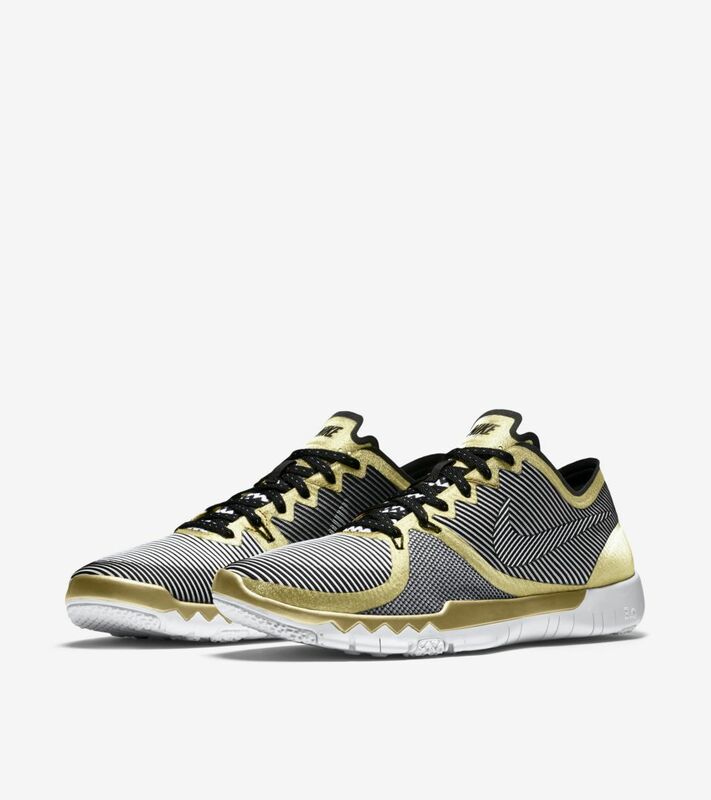 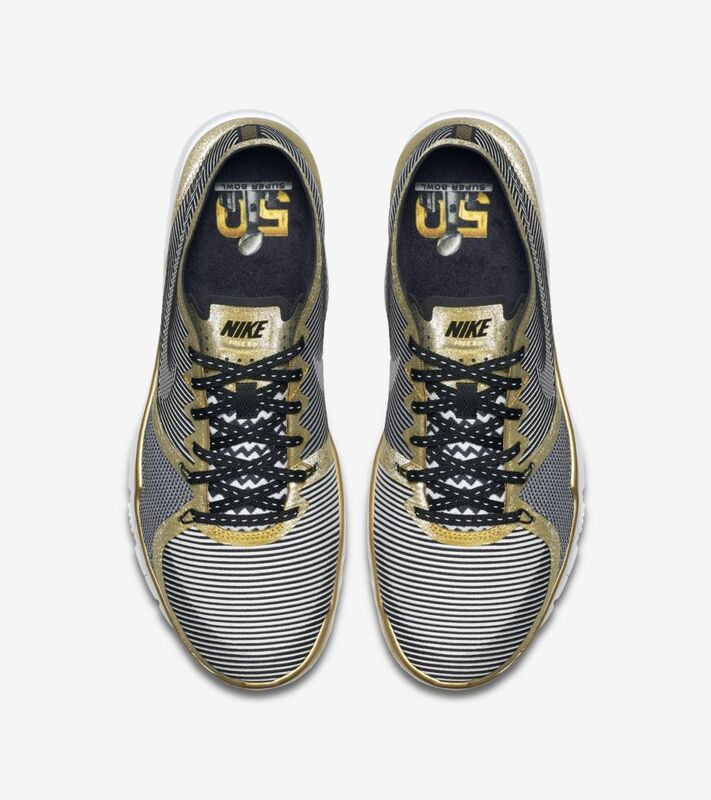 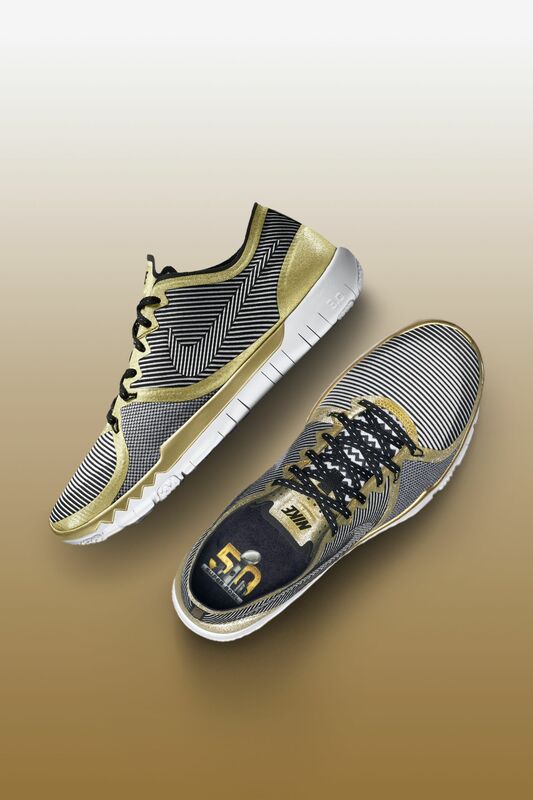 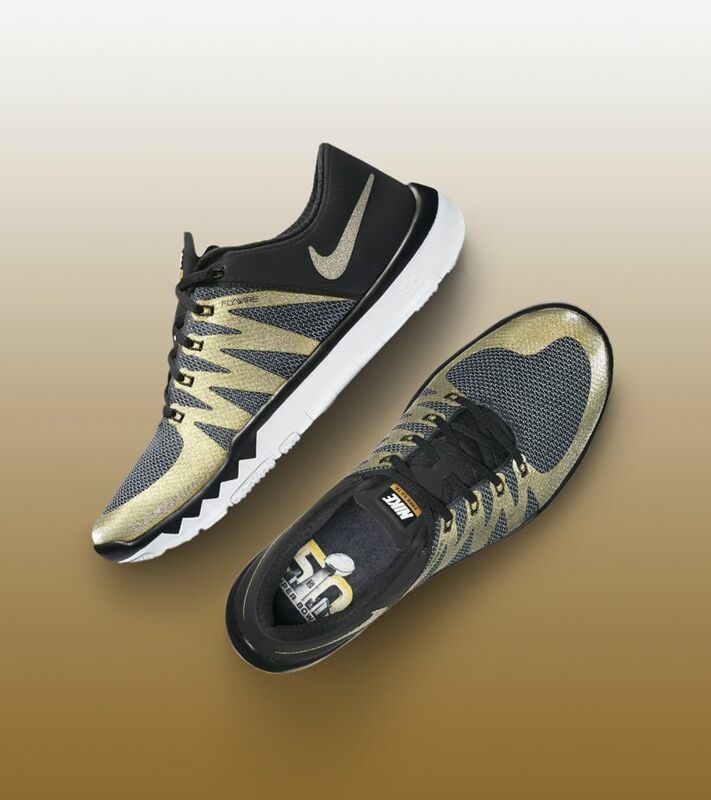 Flexible and quick, the SB50 Nike Free Trainer 3.0 V4 is built for flexible natural motion and lateral stability. 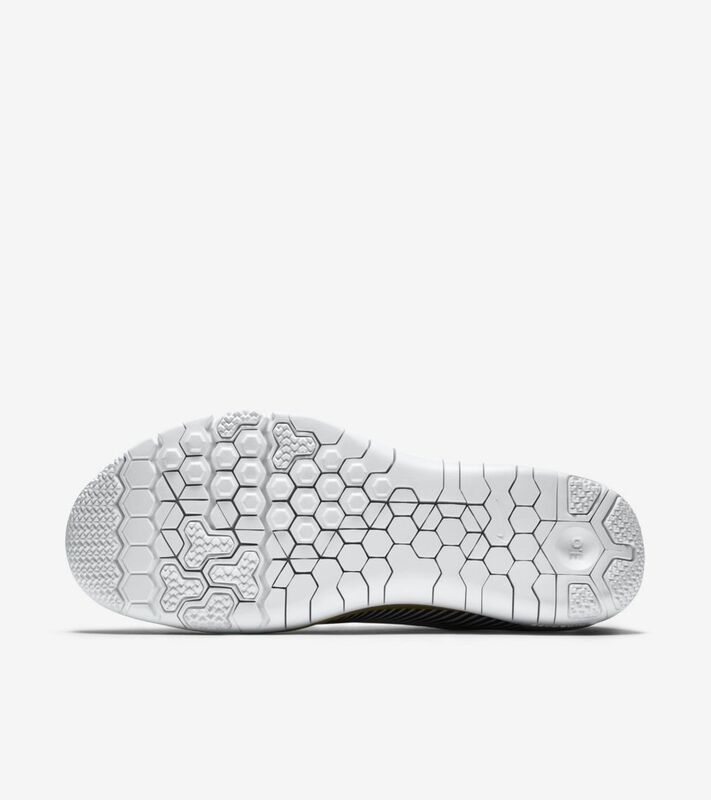 The sneaker is prepared for your everyday training, featuring a minimalist tongue for lightweight comfort, an abrasion resistant outsole and a woven mesh and leather upper for enhanced lateral strength. 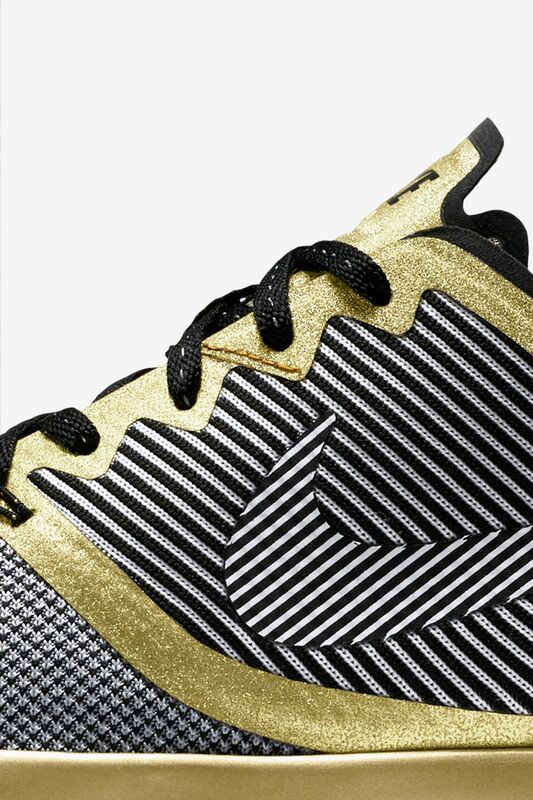 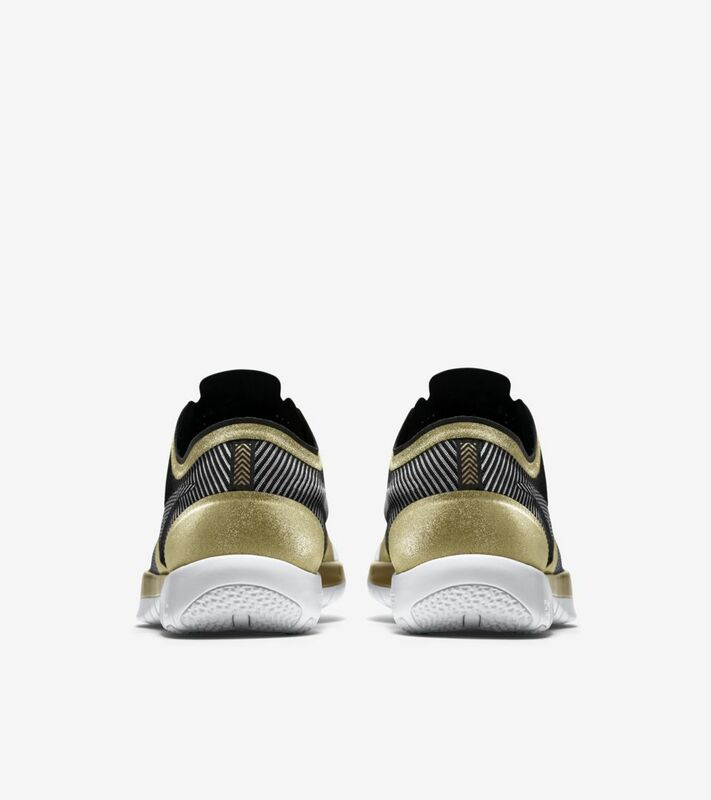 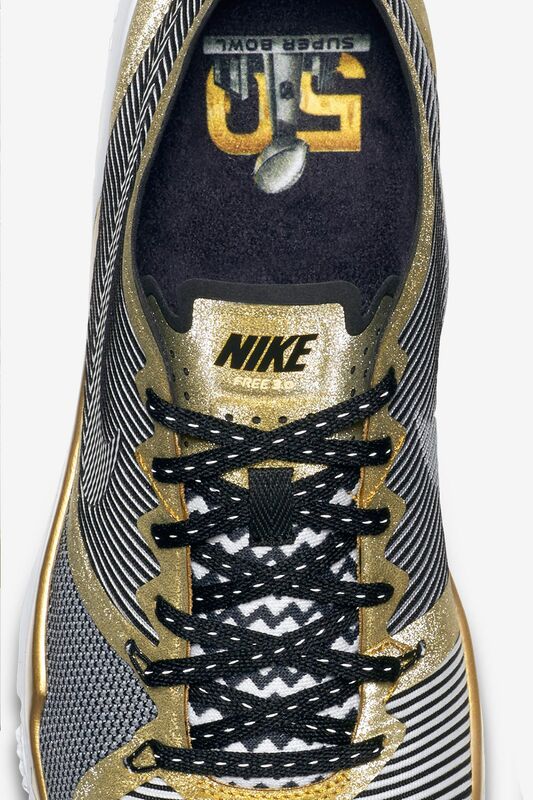 A limited edition metallic gold colorway celebrates football's biggest game and brightest stage.